In a historic decision, the V.A. has announced veterans will no longer be endangering their pain prescriptions by using medical marijuana in states where it is legal. ​In a historic decision, the U.S. Department of Veterans Affairs will now formally allow patients treated at its hospitals and clinics to use medical marijuana in states where it is legal. It’s a day to remember, according to Steve Fox, director of government relations for the Marijuana Policy Project. “We now have a branch of the federal government accepting marijuana as a legal medicine,” Fox said. The policy clarification has been sought by veterans and advocates for years, reports Dan Frosch at The New York Times. A department directive, expected to take effect next week, resolves the conflict in V.A. hospitals between federal law, which outlaws marijuana for any purpose, and medical marijuana laws in the 14 states that allow medicinal use of cannabis. Like the decision by Obama’s Justice Department to back off on marijuana dispensary raids in states that have legalized medical pot, the new V.A. policy essentially means the federal government is deferring to state medical marijuana laws. Unfortunately, the policy still will not permit doctors at V.A. hospitals to authorize marijuana. However, it will address the worries of many veterans who legally use cannabis that they could lose access to their prescription paid medication if caught using pot. ​Under V.A. rules, veterans can be denied pain medications and other prescriptions if they are found to be using illegal drugs, which until now has included marijuana. There will now be a written exception for medical marijuana in states where it is legal. The old policy led many patients to distrust their doctors, veterans and advocates say. With both doctors and patients asking the veterans department for formal guidance, the agency began working on a policy last fall. “When states start legalizing marijuana we are put in a bit of a unique position because as a federal agency, we are beholden to federal law,” said Dr. Robert Jesse, the principal deputy undersecretary for health in the veterans department. 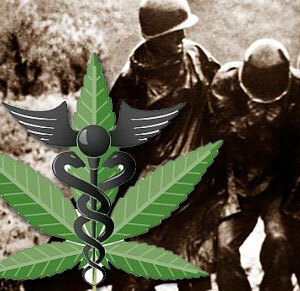 The new written policy applies only to veterans using medical marijuana in states were medicinal use has been legalized. There is still a worrisome loophole that some hardline anti-pot doctors will likely use to deny pain medication to veterans who legally use pot. Doctors can still “modify a veteran’s treatment plan” if he or she is using marijuana. They can even decide not to prescribe any pain medicine at all, claiming there is some “risk of a drug interaction” (marijuana doesn’t have any genuinely dangerous interactions with any other drugs, including pain medication, and any doctor worth his salt knows this). At least those decisions will now be made on a case-by-case basis, not as a blanket anti-marijuana policy, according to Dr. Jesse, so this represents a huge leap in progress. Though Vietnam veterans were the first military group to widely use marijuana for medical purposes, the population of veterans now using it spans generations, according to Michael Krawitz, executive director of Veterans for Medical Marijuana Access, who worked with the veterans department on crafting a new policy. Veterans, some of whom have been on the front lines of the medical marijuana movement, were excited about the department’s decision. According to many veterans, cannabis helps sooth physical and psychological pain, including post-traumatic stress disorder, and also helps alleviate negative side effects of other treatments. 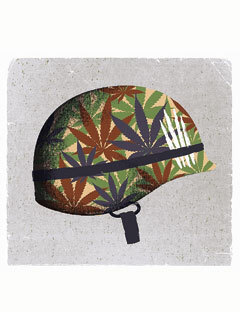 “By creating a directive on medical marijuana, the V.A. ensures that throughout its vast hospital network, it will be well understood that legal medical marijuana use will not be the basis for denial of services,” Krawitz said. The V.A.’s previous emphasis on “keeping patients off illegal drugs” and from abusing their pain medication “gave many practitioners the feeling that they are supposed to police marijuana out of the system,” Krawitz said. In some cases, ailing veterans have even been told they had to stop using marijuana, despite their use being legal, or risk losing their prescription medication. I personally know one veteran in Spokane who has been threatened that way multiple times for exactly that reason. According to Dr. Robert A. Petzel, the undersecretary for health for the veterans department, if a veteran obtains and uses medical marijuana in accordance with state law, he should not be precluded from receiving opioids for pain management at a veterans facility. Pain management agreements between clinicians and patients, which are used as guidelines for treatment, “should draw a clear distinction between the use of illegal drugs, and legal medical marijuana,” Dr. Petzel said. Formalizing the rules on medical marijuana will eliminate future confusion and keep patients from being squeezed between state and federal law, according to Dr. Jesse. clinics doctors frosch hospitals new york times v.a.